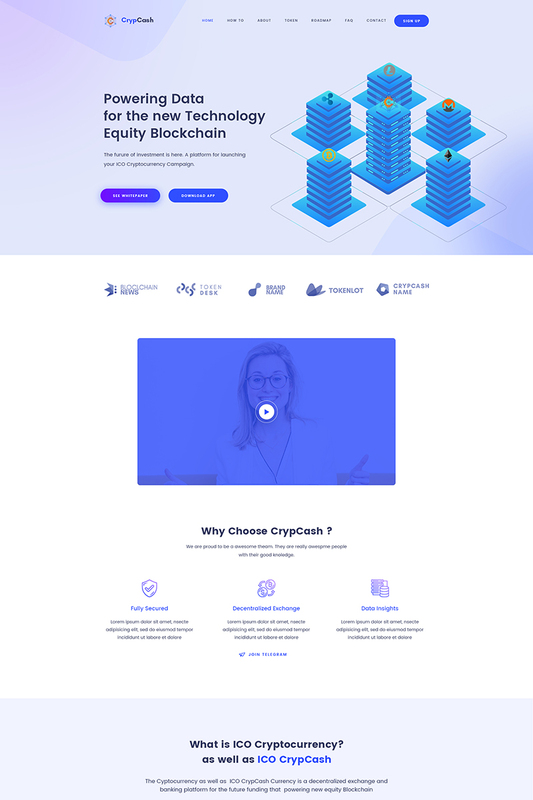 Crypcash is a powerful Responsive modern and elegant crypto currencylanding page WordPress Theme. Crypcash is fully responsive and looks stunning. CrypCash is created for ICO Bitcoin, Agency, Mining and all kind of digital Crypto Currency investment website.Included all the necessary benefits and features that perfect for ICO Agencies, Blockchain technology Consulting and all type of Crypto Currency Agency with better ux and ui . Crypcash a perfect choice for your Crypto business. Users will like Your site because it gives them a unique user experience(UX) and User Interface (UI).